London Actors, here’s your chance to experience a brilliant approach to Acting which is based on real life and is devoid of any – and we mean any – of the old school methods. 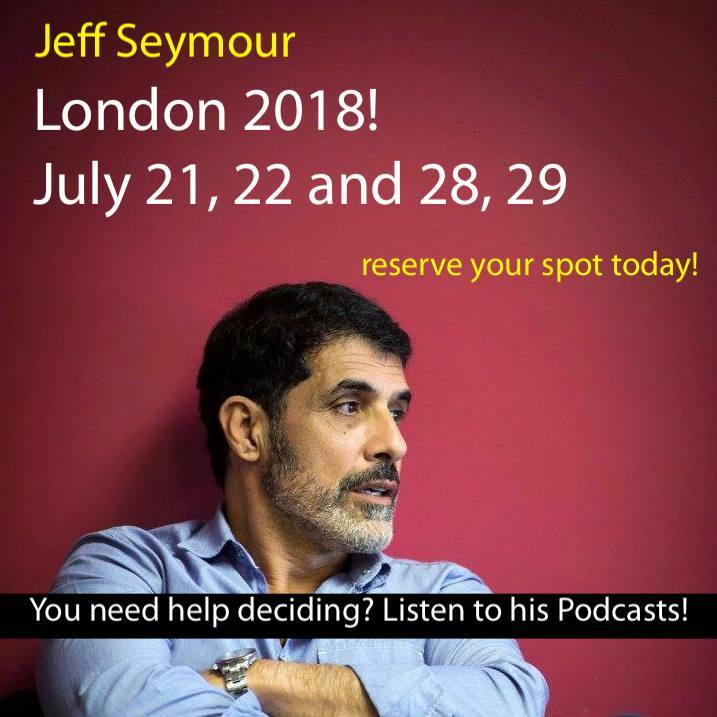 If you haven’t listened to Jeff’s #1 rated Podcasts on acting and the business, here’s the link, https://www.podomatic.com/podcasts/reallifeactor. You can also find them on Spotify and iTunes. There are currently 82 episodes, give a listen to any of them and you’ll instantly see why this is an opportunity you’re not going to want to miss. If you’re already a fan of his Podcasts, what are you waiting for? A confidence and clarity to your work like you’ve never experienced. **While auditors are primarily there to watch, they will be a part of all discussions and Q&A periods. They will participate in all aspects of class except scene work. For actors who seriously want to improve, quickly.